It would be possible to write an entire web page on the various names under which this orchid appears! 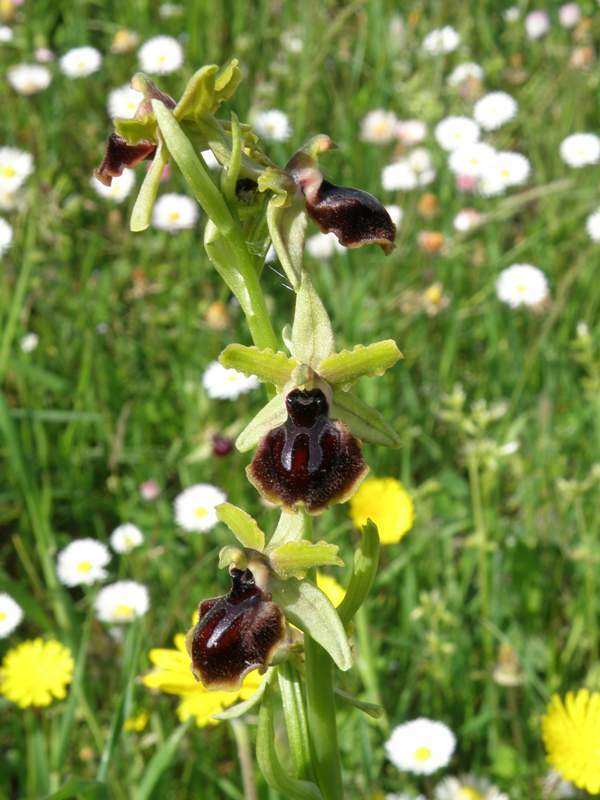 Apart from those in the heading above, it is also known as Ophrys incubacea ssp. 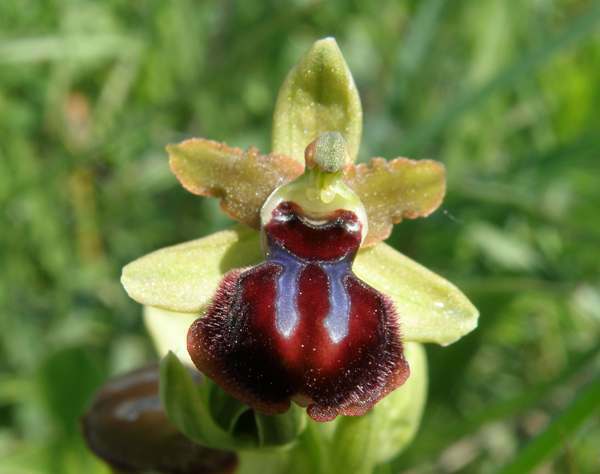 garganica and Ophrys garganica. The only thing on which all are agreed is that it occurs in Italy in Calabria, Tuscany and, in particular, on the Gargano Peninsula, and it may also be known from Sardinia and Sicily. Future molecular studies may give a better idea of the relationship of this orchid to other species that occur in the same places. This orchid is widespread in the Gargano Peninsula area but not common, and nowhere did we find large colonies. It flowers from the end of March and well into April, growing in sunny positions in meadows, garrigue and open woodland. The specimen shown above was photographed on the Gargano Peninsula in April.